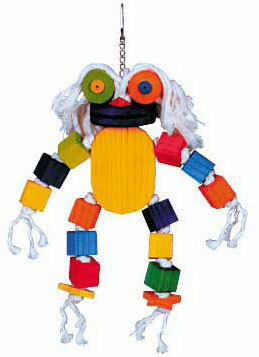 Isn't this just one of the cutest frogs you've ever seen? 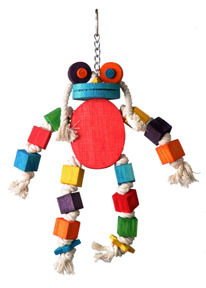 What fun for your FID from the 100% cotton top rope "hair," wooden eyes, cubes for arms and legs, all knotted in between so it's not a snip and drop to the bottom of your cage! Perfect for most mid-sized parrots like Greys, Amazons, Eclectus, etc.